In business, collaboration is everything, but creating the right balance between openness and privacy can be a challenge. 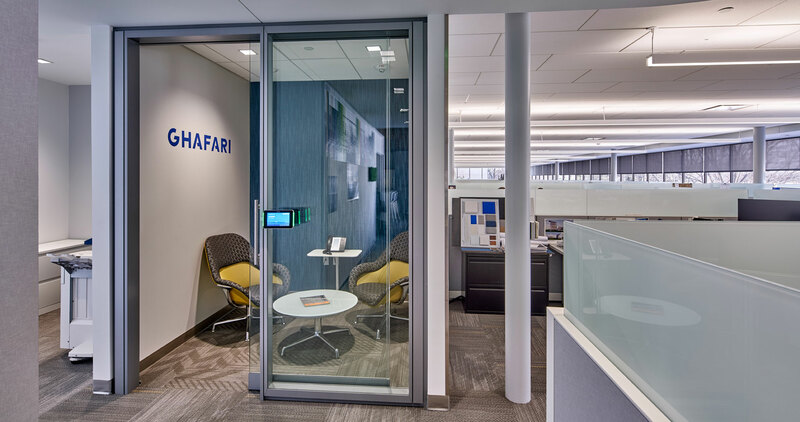 When Ghafari Associates needed to renovate their second-floor offices to create more private meeting spaces, they didn’t have to look far for an innovative and customized solution. Ghafari turned to their long-term partner, NBS for a unique product called Steelcase V.I.A. (Vertical Intelligent Architecture). A priority for Ghafari was to maintain the light feel and the overall open concept in their offices while creating private spaces. Though Ghafari wanted the look of glass, they were aware of the acoustic issues that can be problematic with that material. As a full-service firm with capabilities in architecture, engineering, and construction, Ghafari was inspired by the unique sound blocking properties of V.I.A. and sought the expertise and consultation of NBS Construction Solutions on the product. NBS guided Ghafari on the cost, timing and installation details of the project. Even though V.I.A. 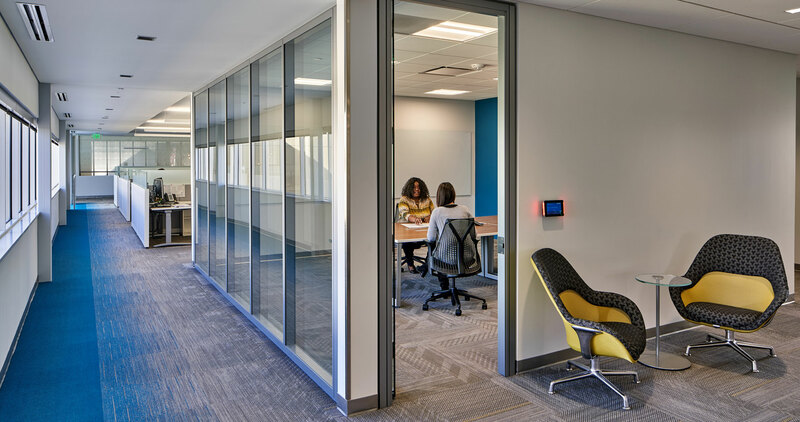 is a robust product that provides a sense of permanence, it is, in fact, a demountable wall system that can be relocated or reconfigured as business needs change. 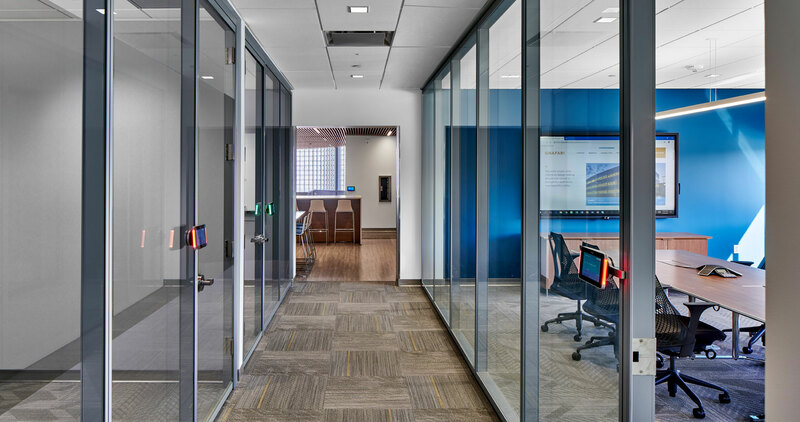 It makes for a clean, quick installation and offers superior fit and finish with panel options ranging from glass, steel, fabric, veneer, and whiteboards, to integrating technology and lighting. V.I.A. 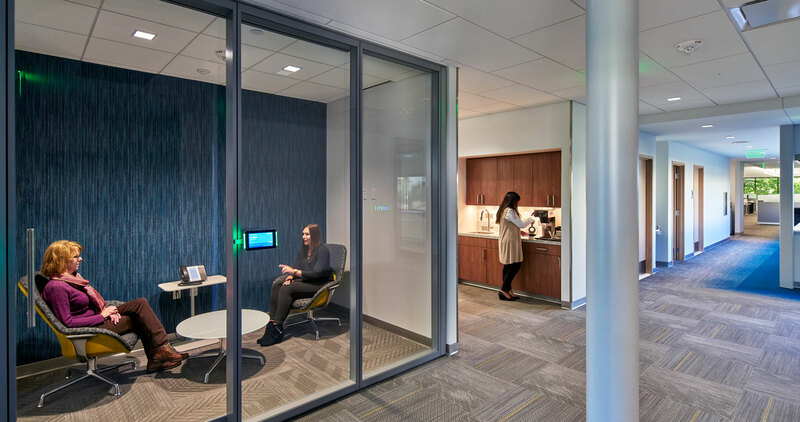 also incorporates the wiring needs for integrated RoomWizard, the smart room scheduling management system by Steelcase. In addition to developing private meeting spaces with the V.I.A. 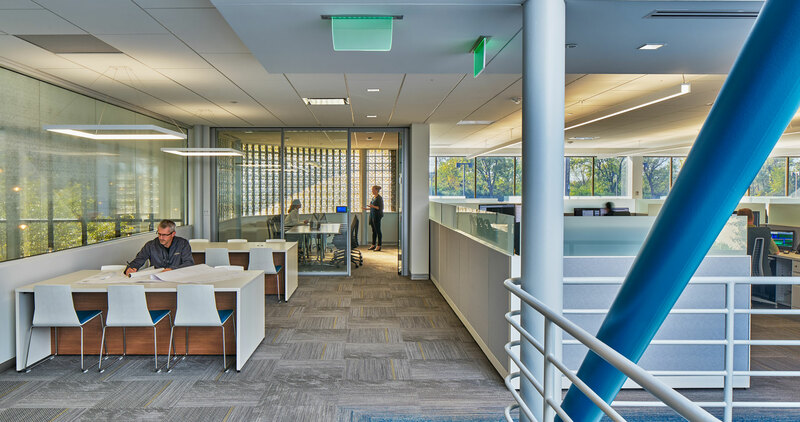 system, NBS also worked on the look and functionality of the greater second-floor area. Some areas that were drywalled received V.I.A. glass fronts or glass doors to create consistency in the experience of the space. To learn more about this full-service architectural, design and engineering firm, visit https://www.ghafari.com/.